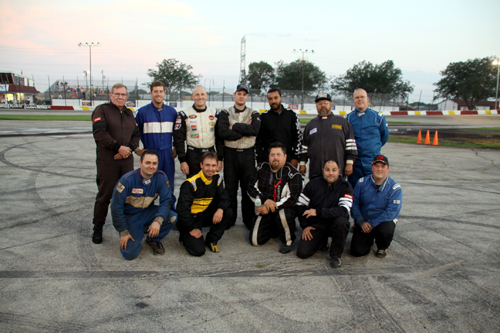 Miller Lite American Short Trackers drivers pose for the camera prior to the start of their 25-lap feature. 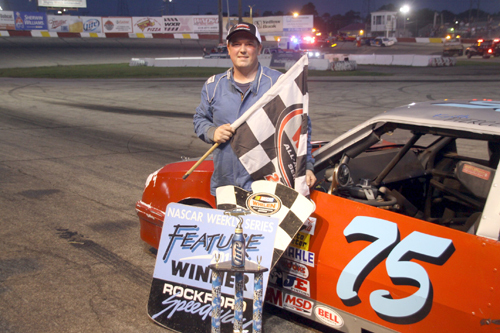 Keith Pierce # 75 Machesney Park, IL posted his first feature win in the Miller Lite Short Tracker 25-lap main event. 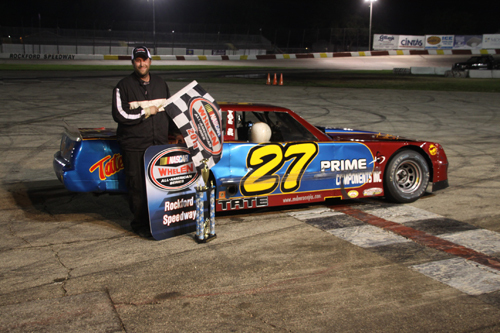 Jim Tate, Jr., DeForest, Wis; # 27 makes his claim to a feature win at Rockford Speedway in the Bargain Hunters Sportsman 25-lap feature. 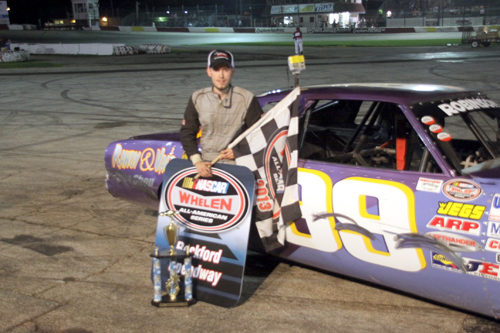 Trevor Robinson # 99R South Beloit, IL once again made his way into victory circle with an outstanding performance during the Midnight Ride of Paul Revere main event. 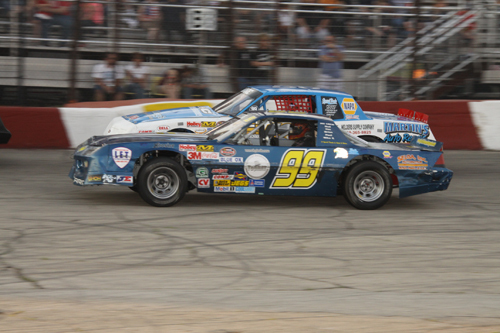 Racing action from the Bargain Hunters Sportsman division saw # 99 Justin Sellers, Carol Stream, IL battle with local driver # 36 Howie Ware, South Beloit, WI. 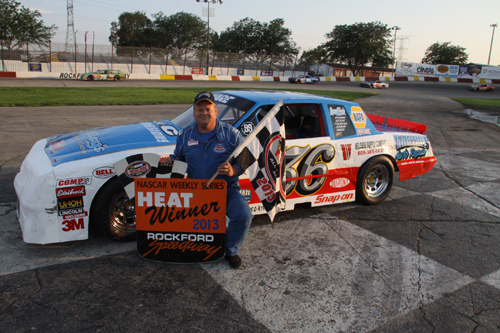 Howie Ware # 36 South Beloit in victory lane as a winner of a Sportsman heat race. 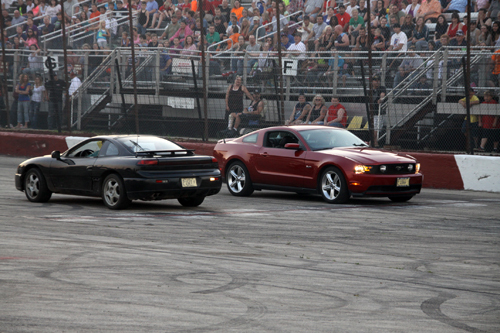 Someone is a little confused during the Spectacular Drags event. 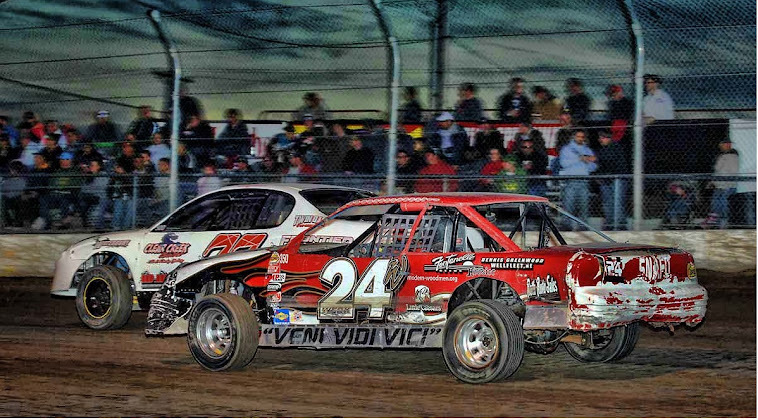 Jim Stanus (black car) lines up facing the wrong direction. He would go in reverse for a short distance and then perform a reverse spin to continue in drag race. 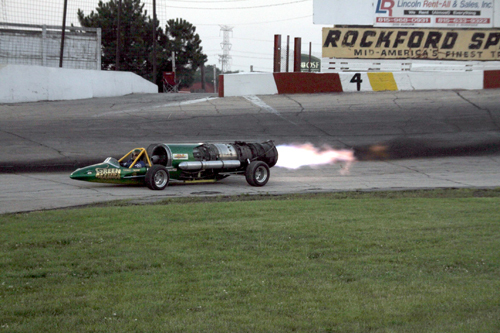 Doug Rose and the Green Mamba Jet Car. You have to be there to experience its power.